Do you have a picky eater on the autism spectrum? No, I’m not undermining the feeding challenges you see in your child with autism. Actually, it’s the opposite. Picky eating is something most parents identify in children at some point in their lives. Many experts actually believe selective eating preferences are a natural part of growing up. Saying no to foods is a way for children to assert themselves and, way back when, a more nuanced sensitivity to bitterness (which may contribute to pickiness in toddlers) was a form of protection from eating potentially poisonous foods. An even higher percentage of autism parents (estimates are as high as 89%) report eating challenges in their children. We tend to call this pickiness by default, but autism eating behaviors often look different from traditional picky eating. When children don’t respond to traditional picky eating strategies, severely restrict their diets, drop favorite foods, and/or have maladaptive reactions to eating (like gagging), the term “picky eating” no longer applies. There are several terms that describe a more serious relationship with food. Find out what it really means for a child to be a picky eater. Take a look at this list below to determine if your child is a picky eater or a problem feeder. Take this simple quiz for an easy answer. Many parents tell me that when they share their child’s eating struggles they’re often told “Oh, he’ll grow out of it” or “Just wait, she’ll eat when she’s hungry.” For problem feeders and kids with autism, this isn’t the case - you know that from your own experience. If you aren’t sure where your child falls on the picky eating spectrum, consider a feeding evaluation. 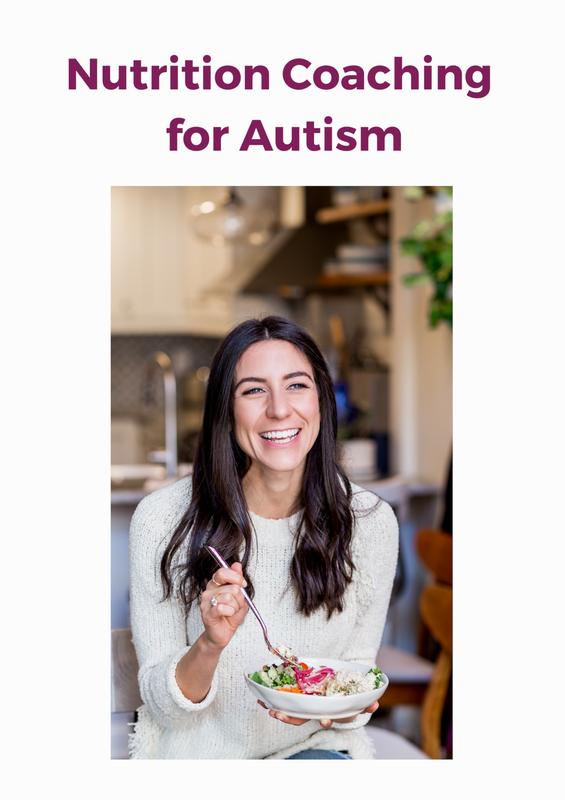 If you feel like you’ve tried everything and are ready for individualized support to help your child try new foods and expand his or her diet, check out my nutrition coaching program HERE. Problem feeding is a more extreme expression of picky eating. Whereas picky eating might resolve on its own, problem feeding is rarely just a phase. If your child is eating less than 20 foods and avoids entire food groups, types of foods, or textures, you’re probably looking at problem feeding and might want to consider working with a dietitian, feeding therapist, or specialist. Is my child a picky eater or a problem feeder? Take this quiz to find out! Sensory food aversions and texture preferences are common barriers to eating a balanced diet for many kids on with autism. Research suggests that anywhere from 30 to over 50% of autistic kids refuse food due to texture. How can you help your picky eater with autism try new foods? There are many ways to help your picky one gain interest in eating new foods. One of my favorites is bringing them into the kitchen and encouraging them to get down and dirty with food. An eating routine may not seem to have much to do with what and how your child eats, but consistency and clear expectations during mealtimes can actually improve both your little one’s appetite and behavior at meals. Kids who eat all day likely aren’t hungry for meals and therefore tend to not eat or behave well when it’s time to sit down.